*This course is operated in Japanese, English, Chinese and Korean, by an audio guidance system. 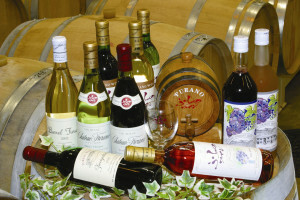 A tour guide will accompany the party, but will not provide scenic explanations. This course is operated with a multilingual audio guidance system (Japanese, English, Chinese and Korean), while passengers look at the sights from the bus. (A guide will accompany the tour but will not offer oral guidance). *Campana Rokkatei : The Taisetsu Mountain Range and vineyards that spread across the vast premises of 7.9 hectares, sets the perfect stage. 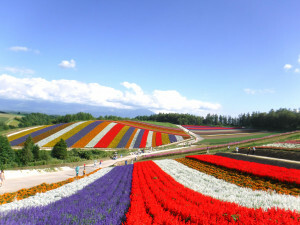 From the glass windows of the store, the entire Tokachidake Mountain Range can be seen. Enjoy the lovely scenery while you shop. 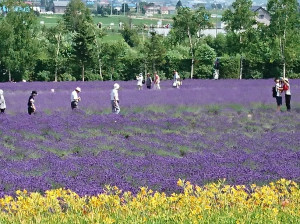 *Farm Tomita : Enjoy the history of lavender and flowers in season at Farm Tomita, the most historical tourist lavender farm in Japan. 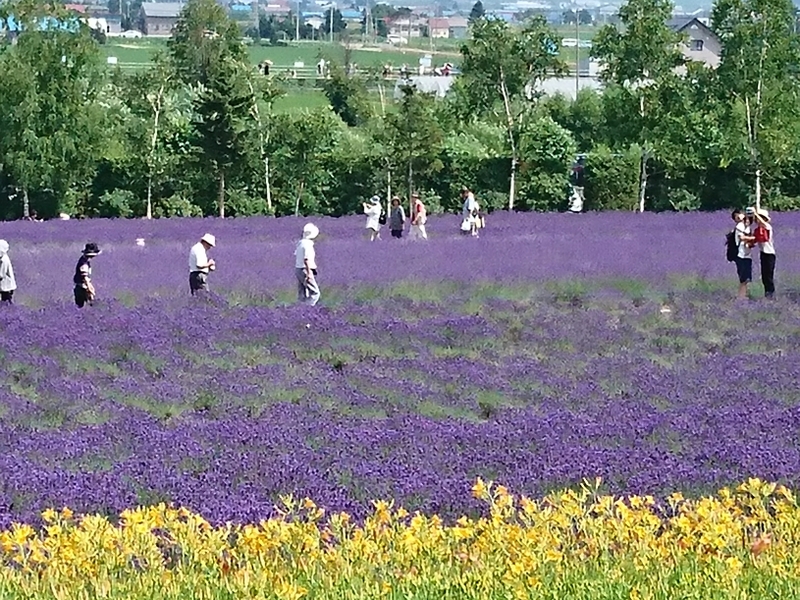 In the gift shops on site seasonal flowers, soaps, perfume and other original products made of lavender. 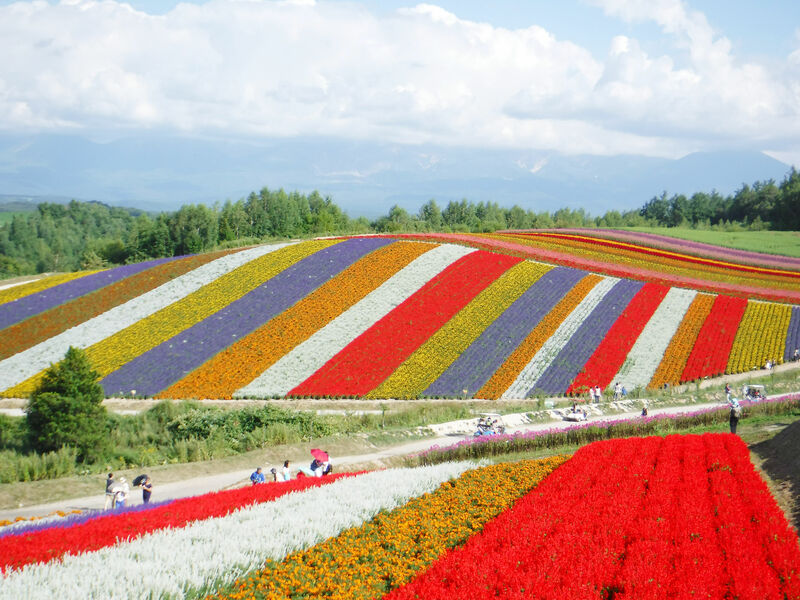 *Shikisai-no-Oka Hills: The vast fields of flowers that bloom over the hills of Shikisai-no-Oka make up the beautiful patchwork scenery of Biei. 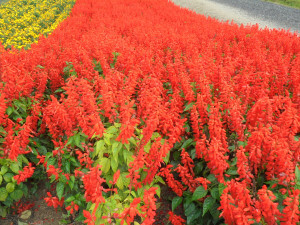 Between 30 to 40 varieties of flowers are planted in the fields that were once owned by farmers, which bloom every year between May and late October. 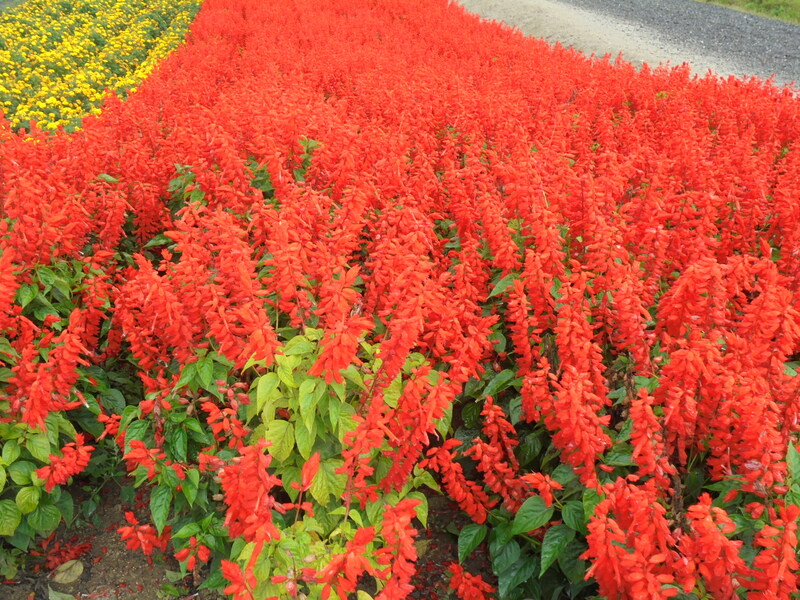 Peak season is between late July and late September. The sight of rolling hills covered in colorful flowers is absolutely spectacular! 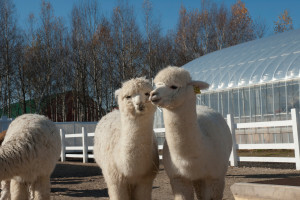 The first Alpacas to be raised in Hokkaido, are being raised on Shikisai-no-Oka. They are quickly becoming popular mascots to children who visit from all over the world. 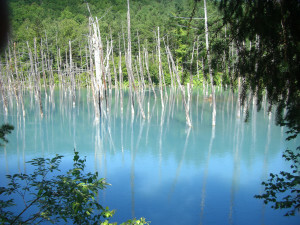 *Blue Pond : In recent years, the Blue Pond has become a super popular site in the Biei area. The dead Japanese larch trees that stand amidst the milky blue water of the pond create a mysterious atmosphere. 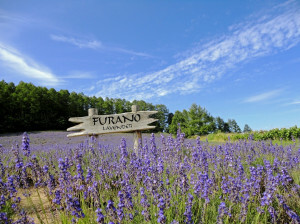 *Furano Wine House: The Furano Wine House is located on a hill overlooking the city of Furano, the lavender fields, vast pastoral landscapes and the panoramic view of the Tokachidake Mountain Range. 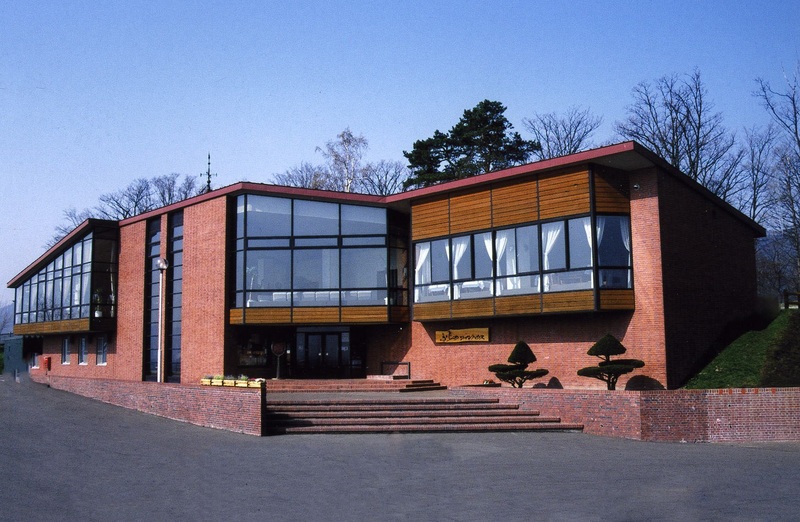 It is a “local production for local consumption,” restaurant where guests can enjoy delicious Western food while taking in the amazing view. 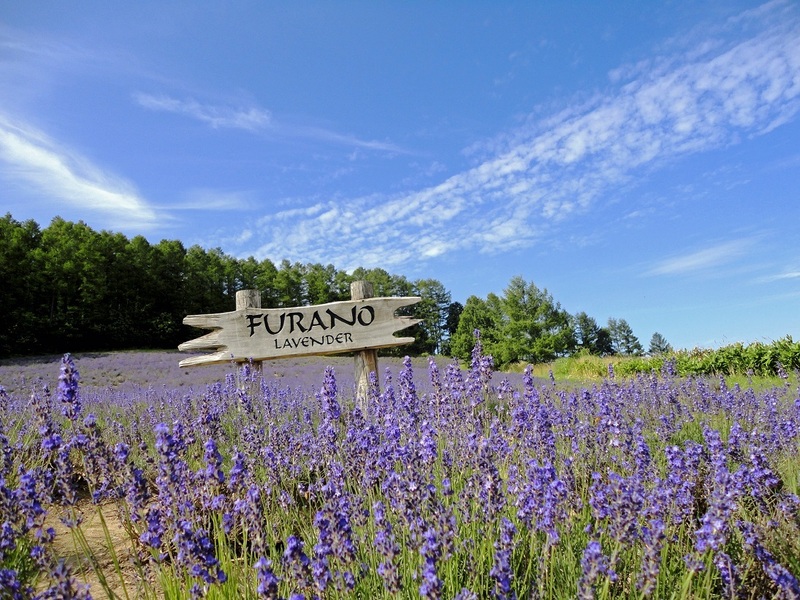 The 100% Furano Grape Juice, the brainchild of wine-making experience, products made with lavender, and many other original items are sold. Lunch menu consists of Furano Wine House famous “Petite Fondue + Hamburger Steak + Rice + Coffee or Tea. 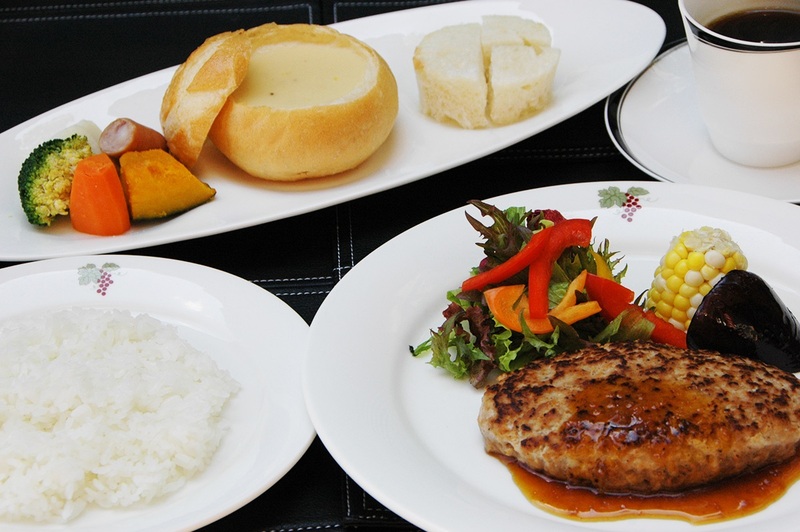 ①Lunch menu consists of Furano Wine House famous "Petite Fondue + Hamburger Steak + Rice + Coffee or Tea. 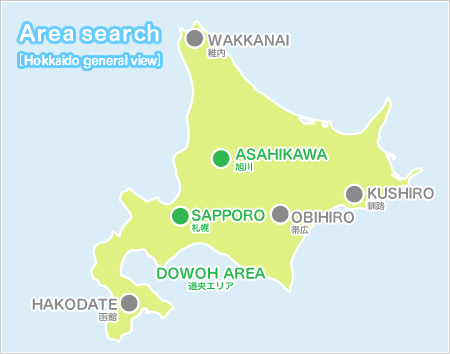 ②～④will be free time to explore. ⑤We will not make a stop if restrooms are installed at the Blue Pond parking lot. ◎The flower fields along the course may not be in bloom, or may not be viewable due to pruning or other maintenance. ◎Tour will be cancelled when there is no reservation by 18:00 the day before. 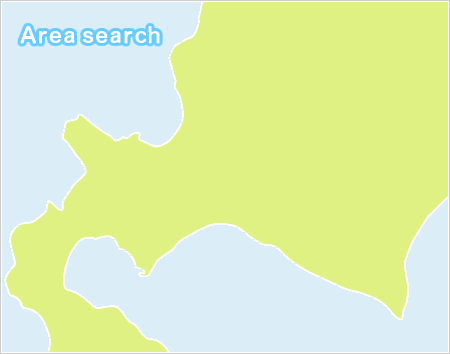 *This tour can be joined from Otaru Station Bus Terminal.